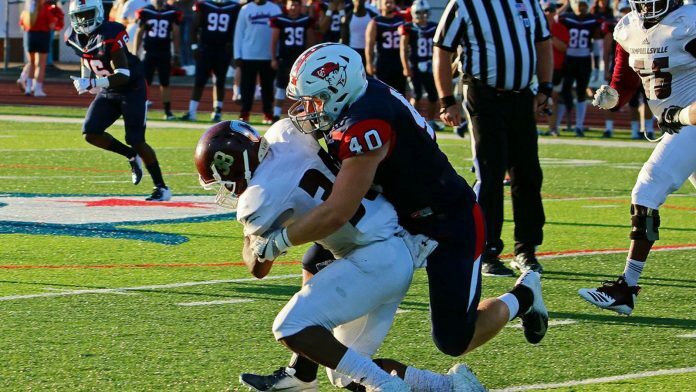 Williamsburg, KY — Tyler Pendleton finished his junior year at University of Cumberlands in Kentucky as leading tackler on the team with 109 tackles for 2018-19 football season. 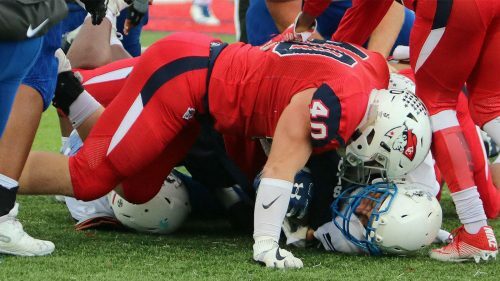 Upper Cumberlands football went from 6-4 record in 2017-18 to 10-2 in 2018-19 and finished season with triple overtime loss to Benedictine College 48-41. Tyler had 15 tackles, a game high and two off his career high of 17. Tyler has one year left on a very good athletic and academic career at Upper Cumberlands. After injuries limited Tyler to seven games, he played 12 games this year and that resulted in 109 tackles for Pendleton. 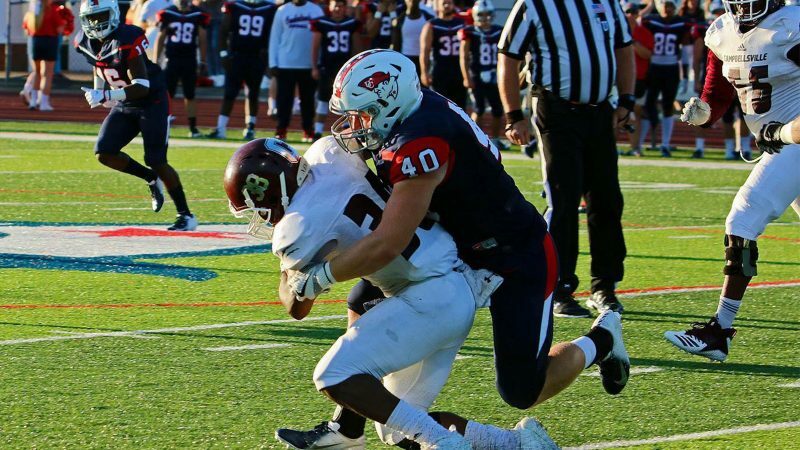 Tyler also was selected All-Conference for the second year in a row and was selected to the NAIA All Conference All-Academic team for second year in a row. Tyler had 233 tackles his senior year and made All-State. 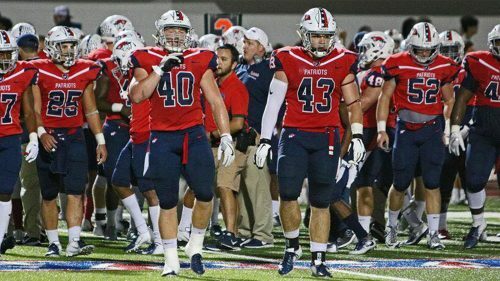 Former Eagle Gavin Downey plays offensive line for the Patriots. Tyler is scheduled to graduate in December 2019. 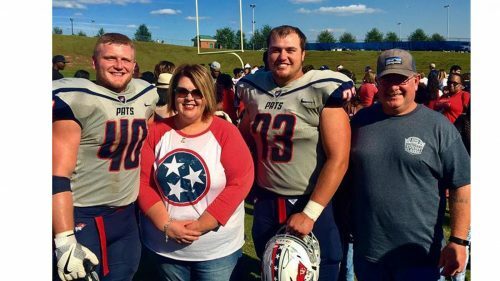 He is looking to pursue medical field but has not made decision where he will continue his post graduate studies after graduation from Upper Cumberlands.